Yes, it’s true: At Home Hotel, we just love fashion. Fashion is a force to be reckoned with. It celebrates, provokes, and entertains. And, from April 24th 2014, it’s going to do even more. Because fashion is being turned into a force for good. On 24th April last year, 1133 people were killed and over 2500 were injured when the Rana Plaza factory complex collapsed in Dhaka, Bangladesh. Social and environmental catastrophes in our fashion supply chains continue. Fashion Revolution Day says enough is enough. This first celebration aims to be positive, using the power we all have to make big changes quickly. 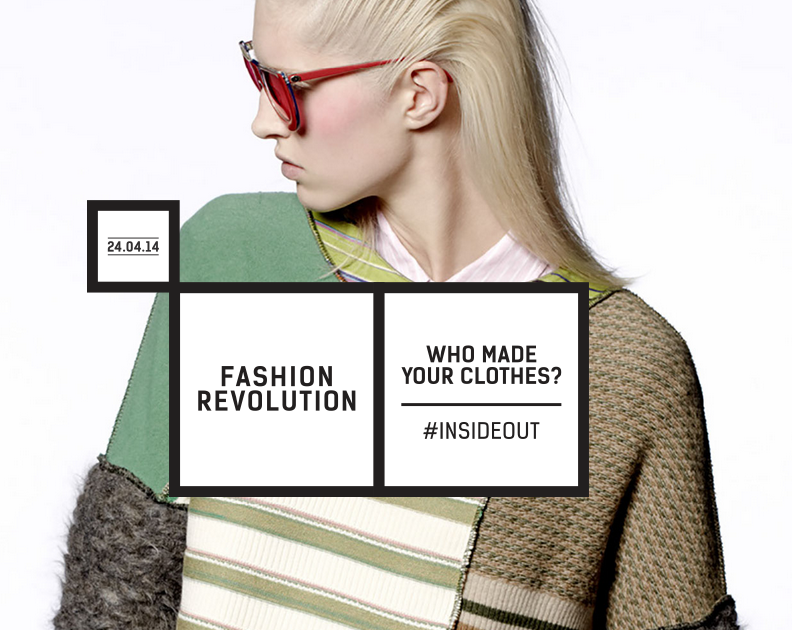 Everyone can join this campaign whose flag is a simple question: who made your clothes? Find out who made your clothes — from who spun the threads, to who sewed them together, to who grew the cotton in the first place. Your clothes already tell a story about who you are. Now they can tell a better one. Join us and be a part of the Fashion Revolution.